A bounty of ancient fossils found on the bank of the Danshui River in China are some of the most pristine, diverse specimens ever found from more than 500 million years ago. The discovery provides a snapshot of a different marine world – one that was highly diverse and where no creature was larger than 15 centimeters (6 inches). The discovery rivals that of Canada’s Burgess Shale fossil site, epitomized by its high diversity of creatures and impeccable preservation, with imprints of eyes, guts, and other soft parts preserved for hundreds of millions of years. The new site, called Qingjiang, includes soft-bodied organisms that rarely withstand the tests of time and make it to the fossil record. So far, lead author Dongjing Fu of Northwest University in China and her team have uncovered 4,351 fossils that represent 101 species, over half of which have never been described before. So what happened to these beasties to make them marine timepieces naturally preserved until their eventual discovery in 2019? The team believes the organisms were overwhelmed by sediment-gravity flows and transported downslope from habitable environments to anoxic settings, where they were rapidly buried. The trove of fossils rewinds us back to the Cambrian period 518 million years ago when complex, diverse life exploded onto the scene. Creatures during this time rapidly multiplied, some of which became evolutionary dead-ends and some forming the base of the tree of life from which most animals descend today. The Qingjiang site reveals an ocean once teeming with diverse life, from mud dragons (kinorhynchs) dwelling on the seafloor, to comb jellies drifting past with their shimmering rainbow lights, to worm-like creatures called lobopods with their stubby legs and tiny spines. There were also a wide variety of sponges, eight forms of algae, and primitive forms of anemones and jellyfish. The mud dragons are a particularly rare find and distinct from modern-day species in one big way. If you were to find one now, the molting invertebrates would be millimeters long, but the Qingjiang mud dragons were up to 4 centimeters (1.5 inches) in length – insight that suggests these animals started out much larger. When the team compared the species found in both the Qingjiang and Chengjiang sites, there was only an 8 percent overlap. 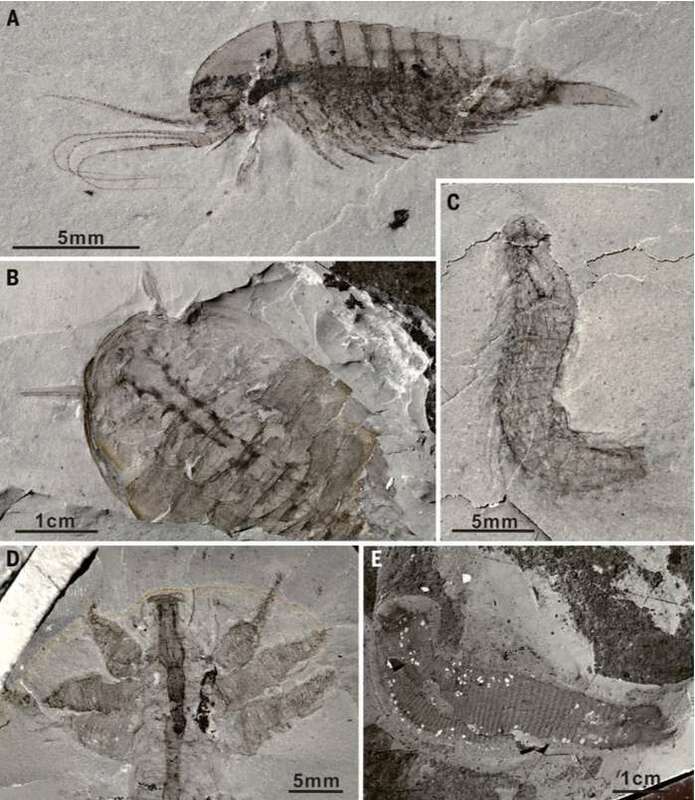 This indicates the critters developed in different paleoenvironmental contexts, with the Qingjiang creatures being from a much deeper marine habitat. The discovery represents 18 body plans across all subkingdom-rank lineages (kingdom being the second-highest taxonomic rank, way above genus and species). 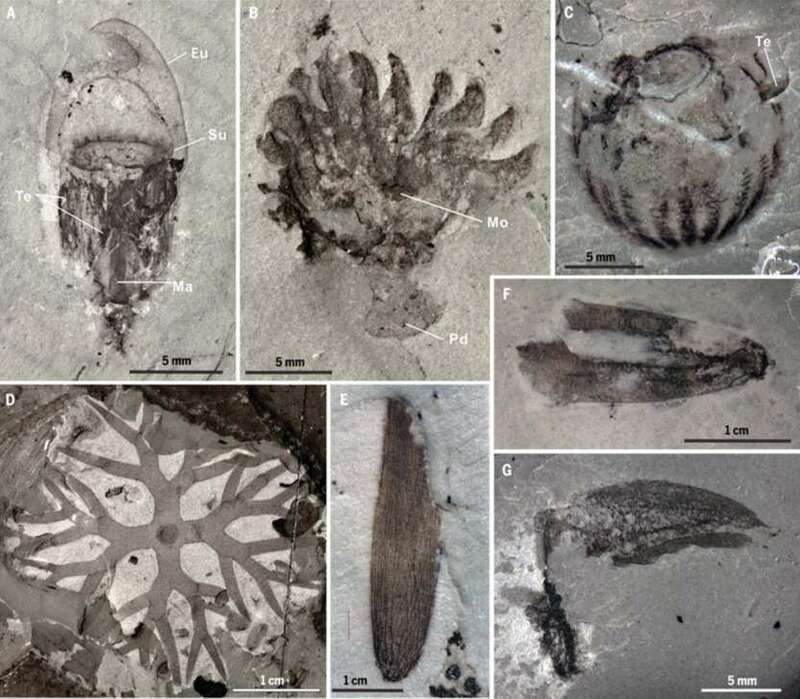 The fossil assemblage also includes “stunning” ctenophores – otherwise known as comb jellies – basal creatures whose position on the tree of life is unclear, but perhaps for not much longer. “The anatomical data from the site could, for example, help to resolve whether ctenophores or sponges are the most basal animal – a debate that remains unresolved even with molecular data,” writes Daley. The exciting, extensive discovery suggests our present understanding of the ecosystems in the aftermath of the Cambrian explosion is far from complete. The research on this recent bounty is far from finished and will likely present us with more intriguing tidbits of our Earth’s past.